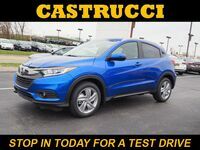 The 2018 Honda HR-V has officially arrived in Dayton, featuring a wide variety of updates and upgrades for the new model year. The subcompact SUV has always been known for its stylish exterior, but after a refreshed wheel design and new body paint color option, the HR-V is back for the 2018 model year and more attractive than ever before. The 2018 Honda HR-V comes in three trim levels: LX, EX, and EX-L w/ Navi. All trims will be powered by a 1.8-liter inline 4-cylinder engine with a maximum output of 141 horsepower and 127 pound-feet of torque. Interested in learning more about the features and specifications you can expect to find on the 2018 HR-V? Keep reading and we'll fill you in on all of the important details! The subcompact 2018 HR-V is able to rival even midsize SUVs with up to 100.1 cubic feet of cargo space (LX FWD) thanks to the 2nd row Magic Seats®, which offer four different modes for cargo hauling and seating configurations. 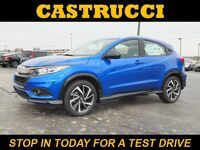 The 2018 HR-V aims to make your journey as convenient as possible, offering multiple cargo space modes, available heated front seats, Automatic Climate Control, an available one-touch power moonroof, and room for up to five fully-grown adults. If you're looking for a subcompact crossover with an attractive exterior design, the 2018 HR-V is worthy of your attention. With distinct, angular exterior lines, an aggressive front grille, tasteful chrome accents, a sporty profile, and LED taillights. 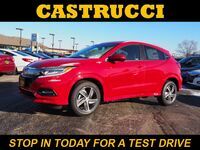 Car shoppers interested in learning more about the 2018 Honda HR-V are encouraged to contact a member of our team here at Matt Castrucci Honda or stop right in and see us at our location in Dayton. Drivers ready to get behind the wheel of the subcompact crossover are invited to schedule an obligation-free test drive online! 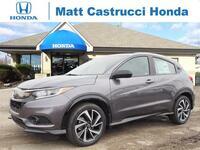 Interested in a Honda HR-V?